Home | Pembroke Commercial Realty LLC. Pembroke Commercial Realty is a full-service real estate firm with more than 50 years of experience. Our staff's extensive experience and expertise is utilized in leasing and managing our properties in a cost-effective manner. Pembroke's apartment communities reflect the constant attention to detail for both owner and tenant. From marketing to lease negotiations, Pembroke's Retail/Office Leasing Team provides our clients with professional guidance. Pembroke's experienced Commercial Sales Team represents both buyers and sellers in a full range of properties and services. Pembroke's expert Property Management Team provides the professional services critical to enhancing a client's property. 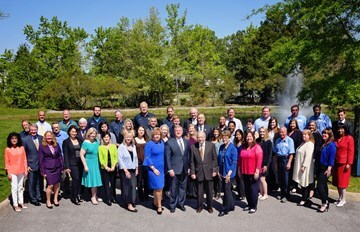 Pembroke Commercial Realty is a full-service real estate firm with more than 55 years of experience and expertise in retail and office leasing, property management, sales, development, construction management and accounting in the Hampton Roads region and beyond. Pembroke recently became a licensed real estate firm in the State of North Carolina in order to accommodate and service our clients' needs. Pembroke has built enduring relationships because we know the market and how best to respond to our clients' needs based on our reputation for integrity, commitment and consistency. "United as a team, we promote and sustain the success of our clients through knowledge, diligence, loyalty and integrity."